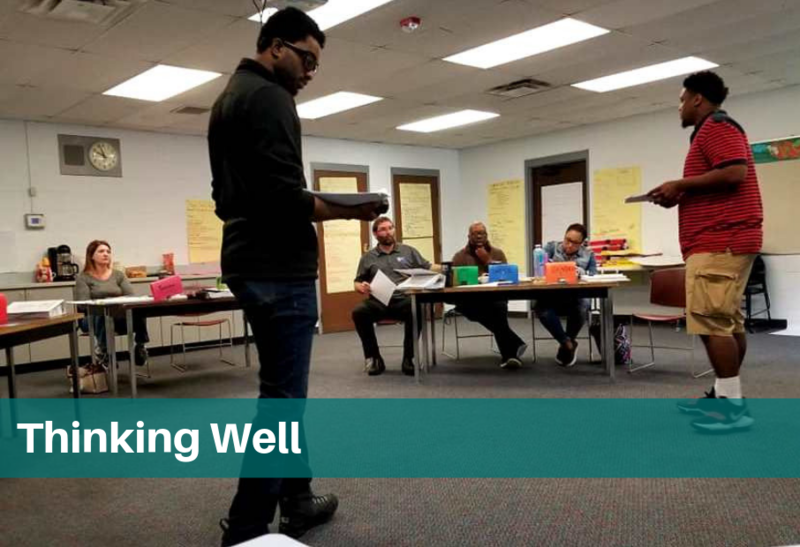 Thinking Well | Highfields, Inc. Thanks to a grant from the Granger Foundation, Highfields’ PRIDE staff has the most up-to-date training to help high-risk students succeed. Do you know how to walk up to someone and introduce yourself in a polite way without offending them? Do you know how to appropriately ask for permission to be excused from class or a meeting? Not everyone has those social skills, and that can cause a lot of problems. To do well, you must first think well. That’s the basic overview of the Thinking for a Change (T4C) curriculum taught in Highfields’ PRIDE Program. “The idea is that in order to change your actions, you need to change the way you think,” said Joanna Hayes, Quality Manager of PRIDE. PRIDE is a program designed for court adjudicated youth. It takes place at Ingham Academy from 3:00pm – 8:00pm, Monday through Friday. It’s the time when teens are most likely to engage in risky behaviors. The goal is to teach students better social skills and life skills. “It’s believed that high-risk children are lagging in certain social skills, and having those skills would lower their risk of re-offending,” said Joanna. That’s where T4C comes in. It is an evidence-based practice taught in three parts: social-skills development, cognitive restructuring, and problem solving skills. The curriculum is taught in that order because in order to solve problems and re-train your way of thinking, you have to have basic social skills. Richard Robinson, a Technical Assistance Consultant, has been training T4C for 19 years. He came to Ingham Academy for a 4-day workshop to teach the brand new curriculum.